Training :Graduate of The Royal Ballet School, London - Lower and Upper schools 1974 to 1981. 1982/5 - The Michael Clark Company in London and also “London’s Ballet Imperiale” followed by a period of freelancing for television, films and fashion shows. 1985/90 Danced in Italy with several companies: Balletto di Roma, Balleto del Sole, Compagnia Teatro Koros also the Arena di Verona as assistant to the choreographer, Massimo Moricone. 1990/97 - Joined Les Ballets De Monte Carlo and in 1992 was promoted to Demi Soloist. Danced and worked with many choreographers: J.C. Maillot, Nacho Duato, R. Zanella, J. Neumier, U. Shultz, J.Allayne, K. Armitage, W. Forsythe and performed many Balanchine and Fokine ballets. 1997/99 - Joined the Israel Ballet Company as Principal dancer and performed the lead role in several creations and more Balanchine ballets. During this period taught classical ballet classes to the Batsheva Dance Companies, at the Tel Aviv Dance Center and various schools around the country. Participated in Aaron Watkin's project: "Dancers for life" performing excerpts from Swan Lake, La Bayadere and “In The Middle”by Forsythe. 2000 - Joined the Batsheva Dance Company under the Artistic Direction of Ohad Naharin as Rehearsal Director and in 2007 became Co - Director of the Ensemble Batsheva. 2013 - Returned to the Israel Ballet as Company Manager, Ballet Mistress and teacher in the Israel Ballet School. 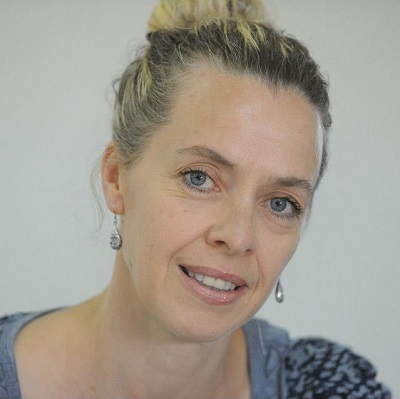 Claire is currently one of the most popular classical ballet teachers in Israel, teaching master classes and summer courses for the top schools in the country, judging in many dance competitions and also guest teaching dance companies that visit Tel Aviv on tour.